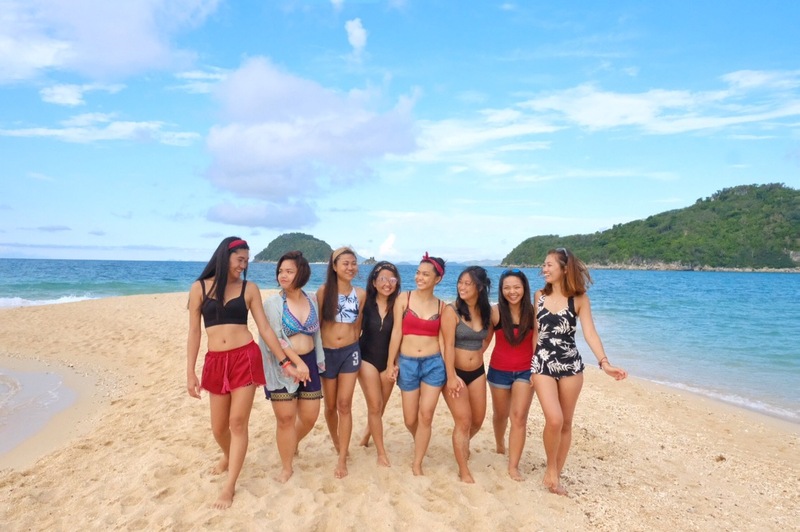 *This is part 3 of our Visayas tour. Click here for part 1 and part 2. After our overnight stay in Mararison Island in Antique we headed back to the main land and started our journey towards Antique. 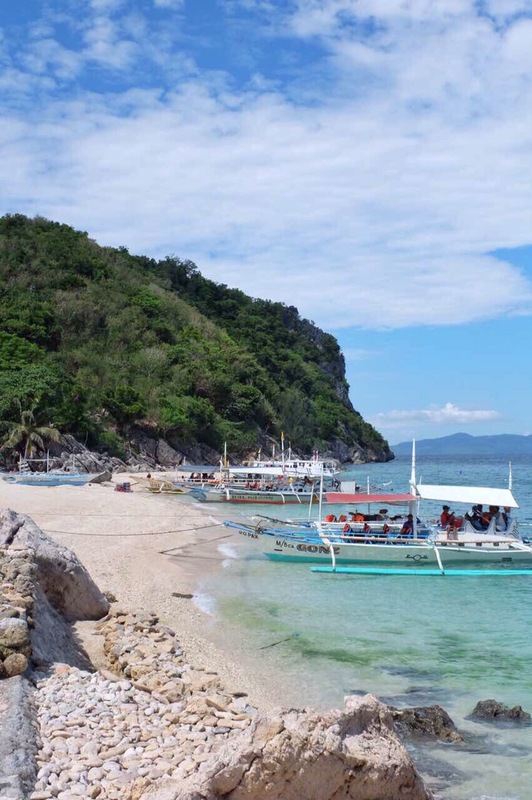 We just had a quick breakfast stop at the town proper of Antique and headed straight to Bancal Port where boats headed to Gigantes group of island are located. Getting there was really tough. You have to endure a numbing 6-hour van drive. Good thing our group is fond of music and we always do this sing-along/karaoke thing whenever we’re on the road. It really helps to ease all the discomforts of having to sit in a van for long hours. We arrived at Bancal Port around 1:30pm and had a talk with some of the local boatmen just to get a good deal for our boat transfers and island hopping tour. As we travel in large group, we usually get a good deal from the locals plus we had the boat all to ourselves. Before we sail-off to our next destination we settled all the environmental fees and such at the port’s head office and decided to have lunch to power through the next 1-hour boat ride to Balbagon island. We left the port around 2pm and arrived at the island at 3pm. When traveling, bumps and hurdles along the way are unavoidable. The thing is you just have to expect the unexpected and quickly adapt to the circumstance and make a decision. Always have a plan B guys. 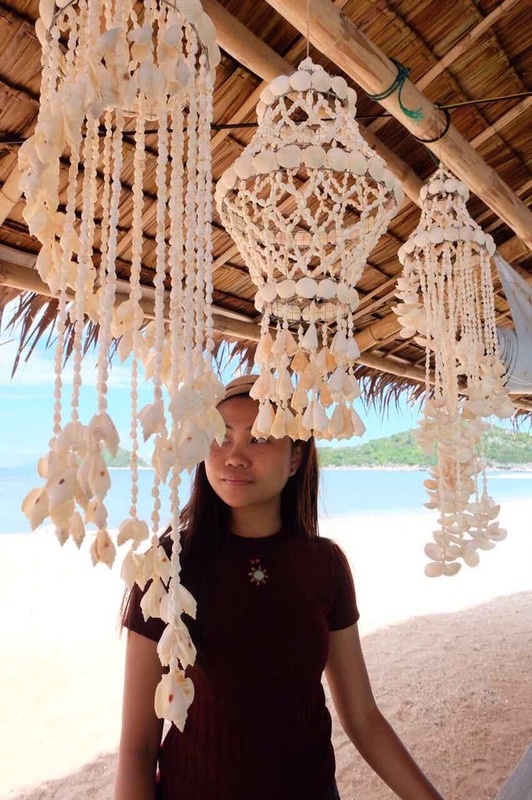 Our group initially planned to visit Bantigui island to have a scallop feast but due to some mishaps, we decided to alight at Balbagon after discussing with our boatman and the resort owner. The resort or should I say the island where we stayed in is pretty good. The owners are very accommodating and provided us everything that we needed during our stay. 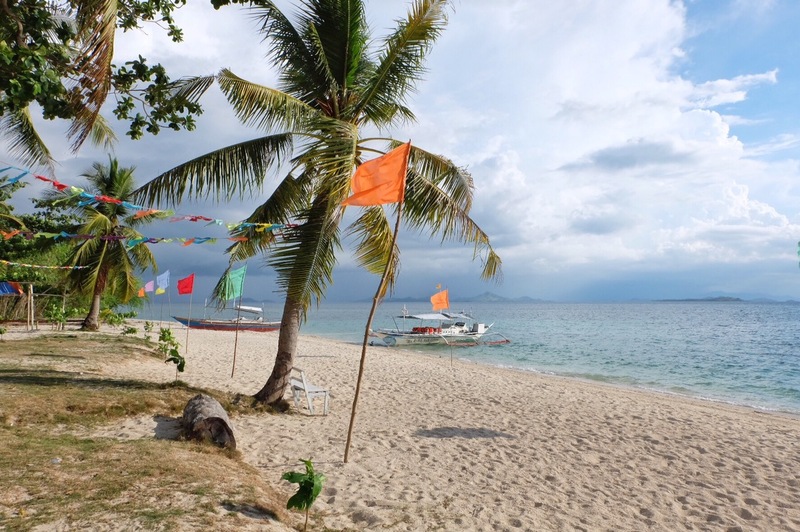 Can you believe, for just 200 php we had the resort/island all to ourselves? 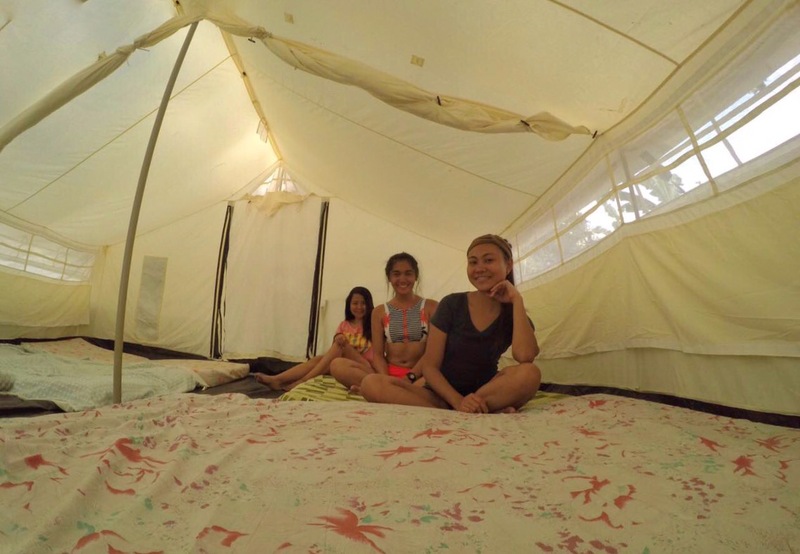 The inclusions were a humongous tent that could fit 20, meaning all of us could get a good and comfy night sleep, cottage use, electricity and clean restrooms with fresh water and all the basic needs you could think of. As we have a lot of down time before our dinner, some of us washed our soiled clothes, while others just chilled by the huts. I however, had a little island exploration and took lots of pictures. The island boasts a long stretch of white sand beach and turquoise water and palm tree paradise. Tropical paradise I must say. 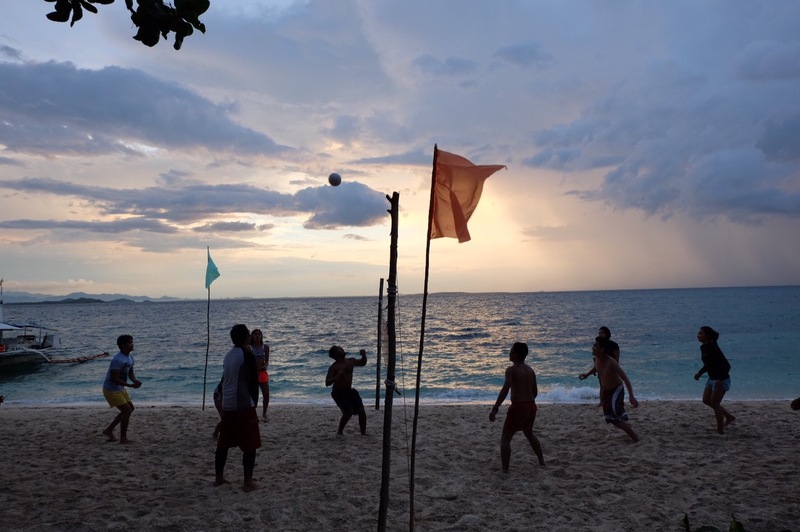 We also played beach volleyball and our team won. Every trip, we always have activities before and after dinner and this time, it was prepared by our game master Trixia. The game is similar to a land mine, wherein you have to guide your blindfolded teammate to get across the field without touching the landmines and answer a tricky code at the end of the course. Our team won this game again even though we had a rough start on the land mine and our rivals were crushing it. I guess we won by taking the game slowly but surely and ensuring that we answer as many codes as we can correctly. After our victory, our dinner was served and things couldn’t be more satisfying. It felt like our last supper as we indulged with lots of seafood. A tray of grilled fish, adobong pusit, paksiw na isda and fresh wasay-wasay dipped in tangy sauce. Yum! After dinner, we all took a bath and played card games to continue our socials. Our games and inuman session lasted almost until midnight. For some of us, the night was still young so we continued with our random kwentuhan by the beach. The others went to sleep just so they could wake-up early tomorrow. We took the mattresses from the tent and laid it by the beach. Kwentuhan all night until we fell asleep. Come morning light, we all prepared for our island hopping tour. Caffeine boost for everyone and we’re all set to depart. We left Balbagon around 6am straight to Tangke Lagoon but due to the raging waves, our boatman recommended to just visit it later. Deep inside I was really worried due to the thought of not having the chance to swim and play inside the lagoon. What if the tide and waves don’t subside? What if it becomes crowded? Lots of what ifs so to compromise we then headed to Bantigui Island/sandbar. 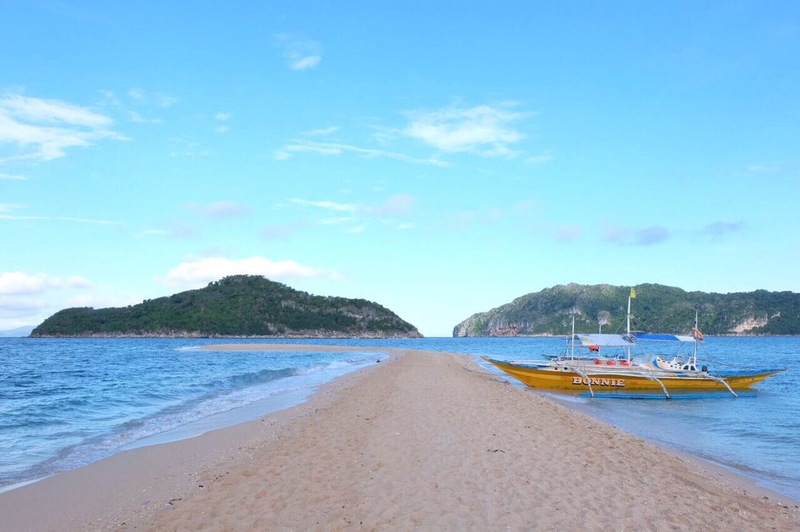 The island’s sandbar did not disappoint, it was long and kind of reminiscent to Kalanggaman island’s sandbar. Our group took lots of photos given that we are the only travelers on the island. But thats just a glimpse of what the island has to offer. 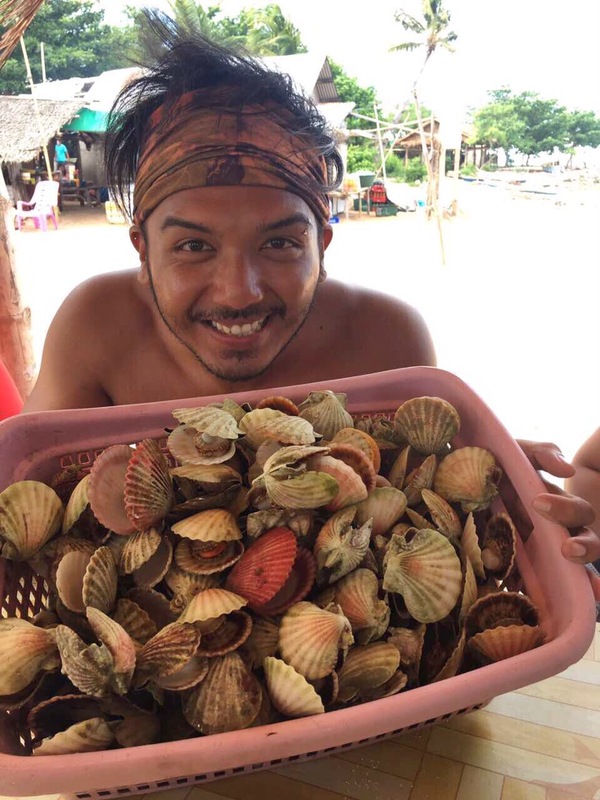 The real surprise of this small island is its cheap fresh scallops feast. 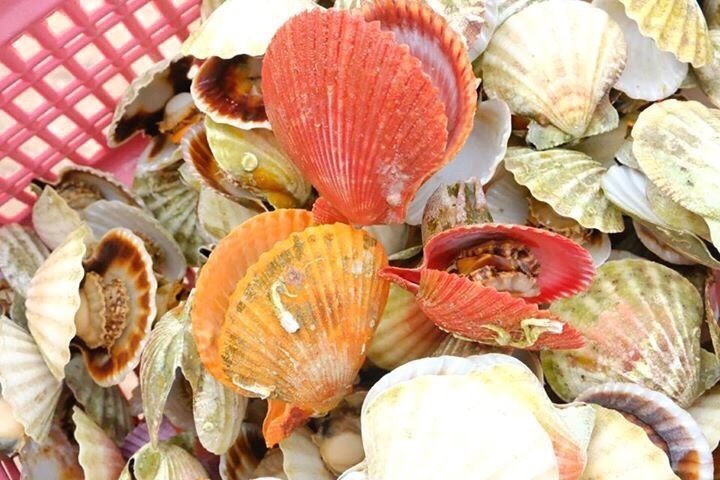 For only 100 php you get to have a large basket of fresh scallops to chow down. We ordered 3 large baskets of scallops and a pot of rice. Bet you are already salivating just thinking of munching on this cheap yet fresh sea food. Know that these could be very expensive at restaurants in the Metro so to have these on a cheap price is really a high light of our Ilo-Ilo tour. 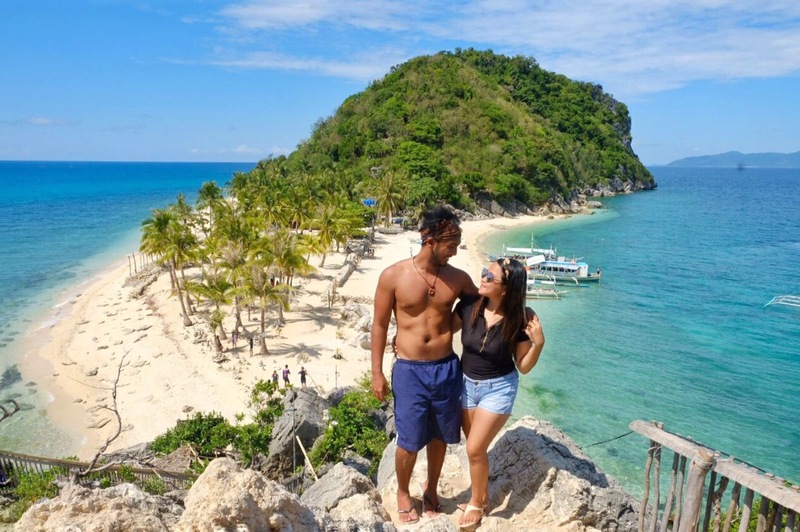 Moving on with our island hopping tour, we headed next to Isla de Gigantes. We got there past 9am and the island was jam packed. There were lots of tourist but that didn’t stop us from enjoying the island. They have this policy to not overcrowd the viewing deck of the island and you only get around 15 minutes of stay on it. As time was limited, we made sure that every photos we took were on point. On to the next one, Tangke Lagoon! 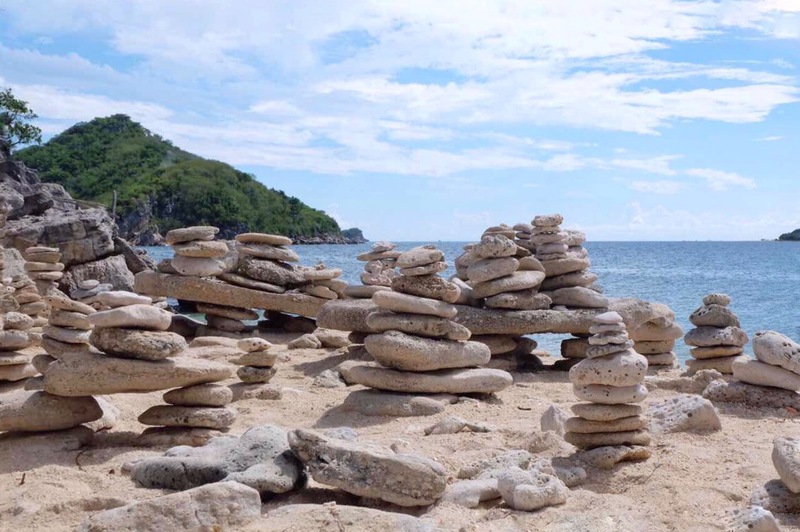 Super excited as I consider this to be one of the peaks of our whole Western Visayas escapade. We arrived at the lagoon exactly 10 am and as expected, it was crowded as well. 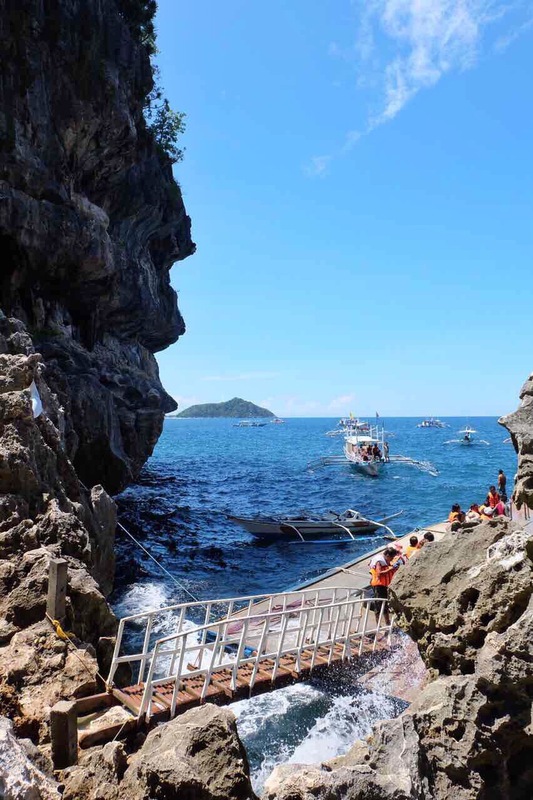 One of the tourist attractions in Carles, Ilo-Ilo, Tangke Lagoon is a saltwater pool situated behind the towering cliffs of Isla Gigantes Sur (South Gigantes Island). 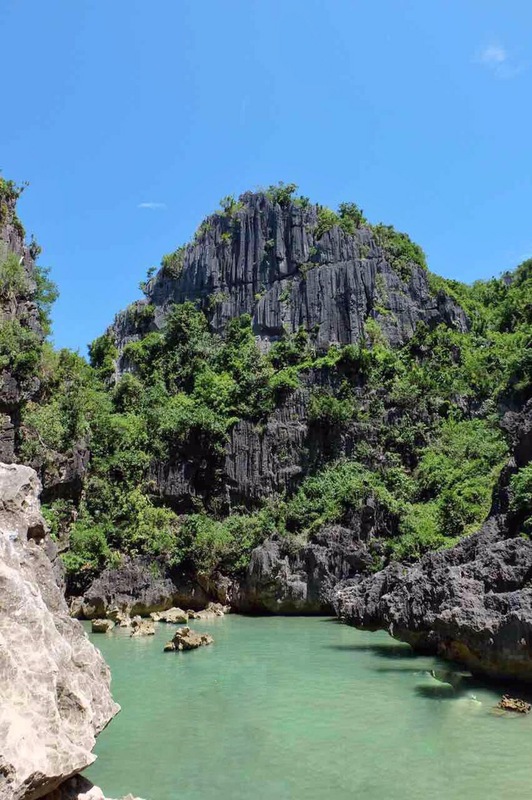 You kind of feel like you are in Palawan because of the rugged rock cliffs towering at every side of the lagoon. I was just saddened by the fact that some tourists has the audacity to litter on this magical place. Saw some plastic bags and the worst, a sanitary napkin. How irresponsible for a tourist to do such thing. Again time was limited as well. As much as we wanted to have a picture of us and the lagoon, you couldn’t with all these people. I’m not sure whether all of the tourists followed that policy as it felt like the whole place was too crowded. Docking was hard as well so even though your time inside the lagoon was limited you’ll have to spend a little longer by waiting for the other tourists’ boats to leave. We got to our boat around 11am and head to our last stop which was a really small island with a single coconut tree. Though small, the island is surrounded by rich marine life great for snorkeling. We stayed there for an hour frolicking in the water and basking under the sun. Was really a great experience seeing all those colorful school of fish swimming with you. We returned to Balbagon island around 12:30 pm and prepared our stuff for check out. Although we are about to leave the resort, the owners were still very thoughtful and gave us pitchers of cold water to rehydrate after a long but awesome island hopping experience. We left around 2pm and got to the main port by 3pm.